I’ve been wanting some ducks for a few years now. Why, exactly, I can’t say; I know relatively little about ducks, I’ve never kept them before, and I don’t believe I’ve ever tasted a duck egg, though I hear they’re delicious and phenomenal for baking. 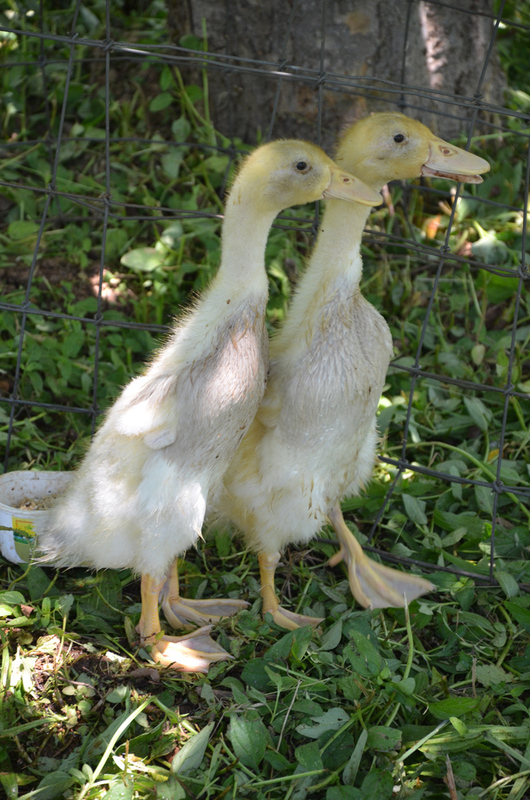 But, for some reason, every Spring, I find myself gazing longingly at the duckings at the feed store. Maybe it’s their improbably large bills and big floppy feet, or maybe it has something to do with all the times I turned the pages of Robert McKlosky’s delightfully illustrated tale as a wee tot — but I definitely have a bit of a duck fixation. 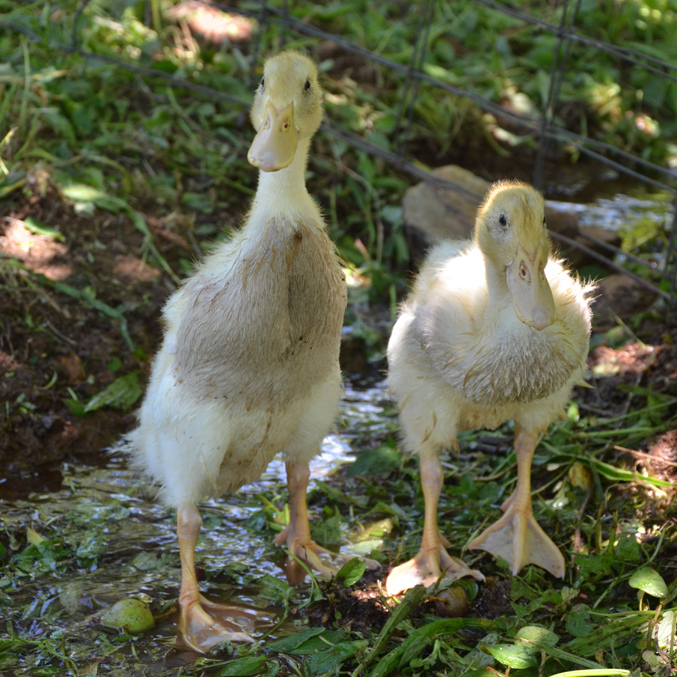 So that should explain why, when I walked into the feed store for some chicken scratch a few weeks ago and saw two lanky, fluffy, almost-too-big-to-be-ducklings sitting in a pen out front… there was no way I was going home without them. They’re fawn-and-white runners — just the kind of ducks I was thinking of getting, as they don’t fly and their penguin-like posture is absolutely adorable and rather hilarious. (I did do my research before impulse-buying birds, don’t worry.) 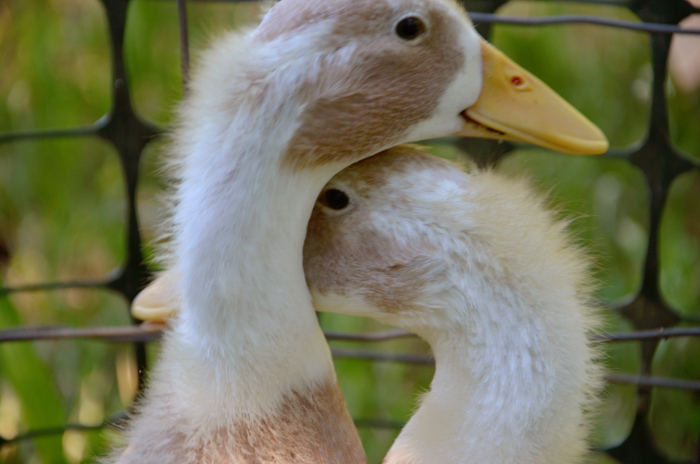 The sweet folks at Family Farm Supply here in Auburn were very glad to find these gals a home, as they were the last two ducklings of this year’s batch, and were getting a little too big to keep at the store! …and as soon as I saw these kiddos, I knew that it was Meant To Be. 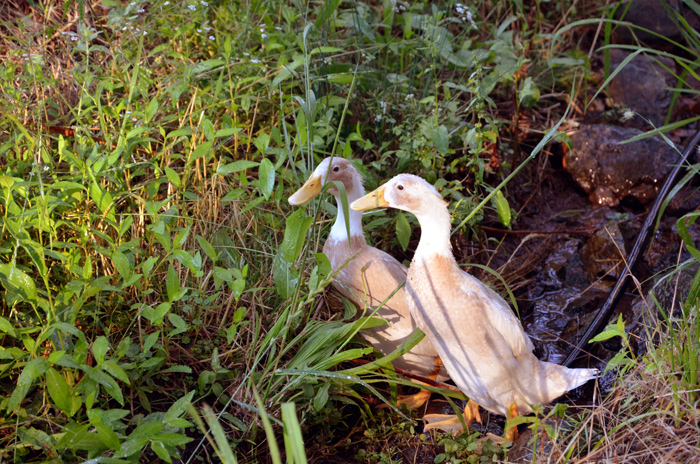 They’re totally inseparable, too, so it’s extra-nice that they found an new home together! And they’re growing up so fast! These photos are from a couple days ago, just three weeks after the first two pictures above, when they arrived here at The Ranch. 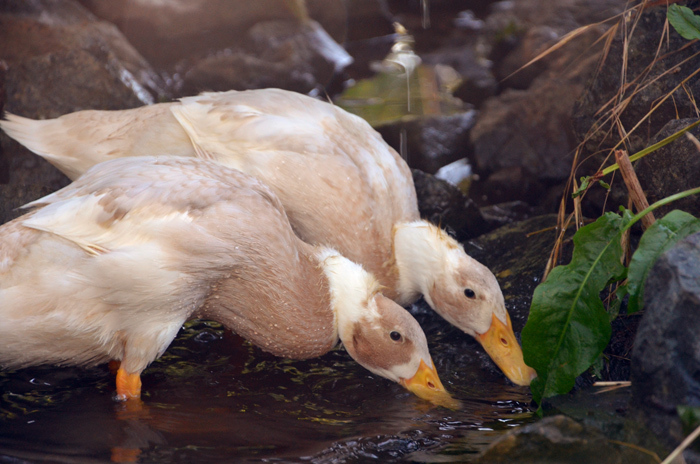 The ducks are still shy and nervous, but they seem to be settling in well — and, watching them splash and play in the creek, it’s plain to see that they are just about the happiest creatures on earth. I’m so taken with these gals; if I’m not careful, I’ll find myself knitting little sweaters for them soon… ok, maybe not quite that obsessed. 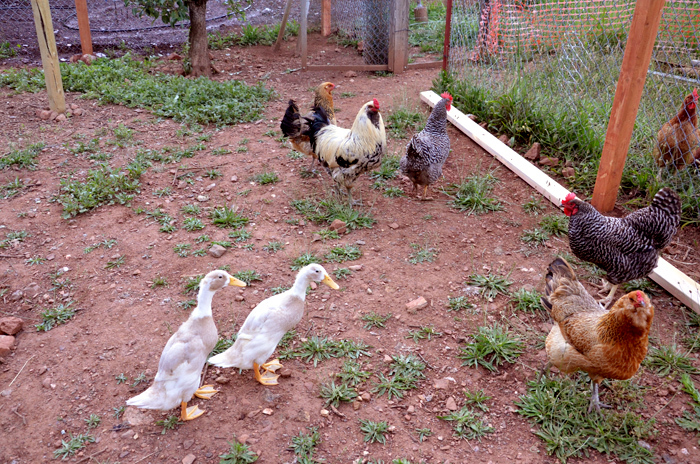 Not that they would need them — look at those feathers! It’s hard to believe that they were fluffy little yellow things just a few short weeks ago. And they’re teaching us all a few things about keeping cool!